That is a dense lit review. How did they order it thematically? Normal exploring/flocking/stampeding is unconstrained. Herding adds constraint, though it’s dynamic. 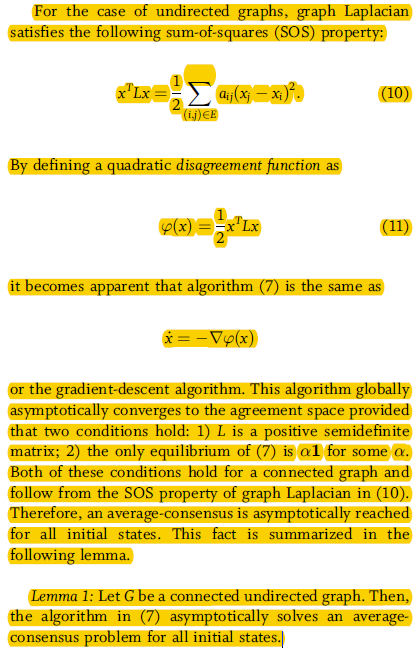 The variables that have to be manipulated in the case of constraint to result in the same amount of consensus are probably what’s interesting here. Examples could be how ‘loud’ does the herder have to be? Also, how ‘primed’ does the population have to be to accept herding? This is another measure that I can do of the nomad/flock/stampede structures combined with DBSCAN. Each agent knows what agents it is connected with, and we know how many agents there are. Each agent row should just have the number of agents it is connected to. The origin of population-scale coordination has puzzled philosophers and scientists for centuries. Recently, game theory, evolutionary approaches and complex systems science have provided quantitative insights on the mechanisms of social consensus. However, the literature is vast and scattered widely across fields, making it hard for the single researcher to navigate it. This short review aims to provide a compact overview of the main dimensions over which the debate has unfolded and to discuss some representative examples. It focuses on those situations in which consensus emerges ‘spontaneously’ in absence of centralised institutions and covers topic that include the macroscopic consequences of the different microscopic rules of behavioural contagion, the role of social networks, and the mechanisms that prevent the formation of a consensus or alter it after it has emerged. Special attention is devoted to the recent wave of experiments on the emergence of consensus in social systems. Complex adaptive systems exhibit characteristic dynamics near tipping points such as critical slowing down (declining resilience to perturbations). We studied Twitter and Google search data about measles from California and the United States before and after the 2014–2015 Disneyland, California measles outbreak. We find critical slowing down starting a few years before the outbreak. However, population response to the outbreak causes resilience to increase afterward. A mathematical model of measles transmission and population vaccine sentiment predicts the same patterns. Crucially, critical slowing down begins long before a system actually reaches a tipping point. Thus, it may be possible to develop analytical tools to detect populations at heightened risk of a future episode of widespread vaccine refusal. The paper investigates the case where N agents solve a complex search problem by communicating to each other their relative successes in solving the task. The problem consists in identifying a set of unknown points distributed in an n–dimensional space. The interaction rule causes the agents to organize themselves so that, asymptotically, each agent converges to a different point. The emphasis of this paper is on analyzing the collective dynamics resulting from nonlinear interactions and, in particular, to prove convergence of the search process. We have proposed a model based upon flocking on a complex network, and then developed two clustering algorithms on the basis of it. In the algorithms, firstly a k-nearest neighbor (knn) graph as a weighted and directed graph is produced among all data points in a dataset each of which is regarded as an agent who can move in space, and then a time-varying complex network is created by adding long-range links for each data point. Furthermore, each data point is not only acted by its k nearest neighbors but also r long-range neighbors through fields established in space by them together, so it will take a step along the direction of the vector sum of all fields. It is more important that these long-range links provides some hidden information for each data point when it moves and at the same time accelerate its speed converging to a center. As they move in space according to the proposed model, data points that belong to the same class are located at a same position gradually, whereas those that belong to different classes are away from one another. Consequently, the experimental results have demonstrated that data points in datasets are clustered reasonably and efficiently, and the rates of convergence of clustering algorithms are fast enough. Moreover, the comparison with other algorithms also provides an indication of the effectiveness of the proposed approach. 4:00 – 5:00 Meeting with Aaron M. to discuss Academic RB wishlist. This entry was posted in cool, Java, Lit Review, Machine Learning, Paper, Phil, proposals, research, ToRead on December 12, 2017 by pgfeldman.